When this album was released back in 2000, the internet as we know it today was still in its fledgeling state. Websites were mostly created and owned by actual people rather than by corporations and users actually had to seek out their news rather than have it shown to them if an algorithm deigned to do so. As a result, I was only aware it had been released because I saw it while I was browsing the CD racks in HMV. Of course, with it being a Live/Best of compilation and I already had most of the songs Live or in compilations, I was reluctant to part with hard earned cash for stuff I already had and instead bought something a little more desirable like Air’s Moon Safari or whatever else was about in those days. However sometime later, probably during the Great Internet Download Free-for-All of the early noughties, I was given a copy of the album by a work colleague and so it joined my collection. 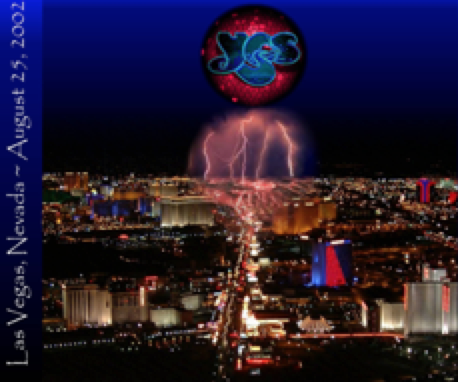 House of Yes is a live double album featuring music from Yes’ earlier career and their album The Ladder. It also features Billy Sherwood on guitar and Igor Khoroshev on keyboards, Sherwood left shortly before the album’s release and Khoroshev had already been booted out of the band by that time due to a sexual harassment controversy. I can’t say that I don’t like this compilation. There are some good performances on the album the enjoyment of which can be enhanced by the viewing of the DVD of the gig. 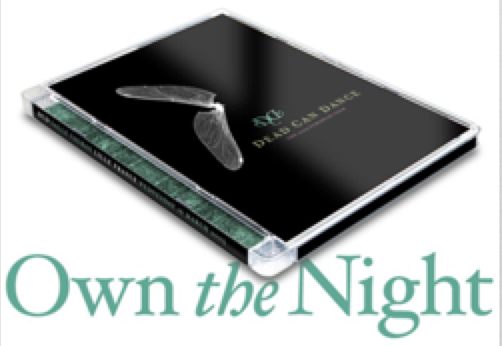 More neoclassical caterwauling from Brendan Perry with added woeful wailing from Lisa Gerrard in this compilation of bootlegged performances from across Dead Can Dance’s “Golden Age”. I think the compiler chose anything prior to the world music influenced Into the Labyrinth as the band’s “golden age” to select songs from. Of course, they may have compiled it before that album was released. Who knows? Tracks listed include In Power We Entrust the Love Advocated, Oman, Toward the Within and my favourite, Rakim amongst others. All lovingly performed by the gang in Paris 1988 and Hamburg in 1990. Way back in the early days of internet and Windows Millenium, I obtained a compilation CD from an innovative music website known as Peoplesound. The idea behind Peoplesound was years ahead of its time, crowd funded/supported bands could sell their EPs, demos and albums via the site and hipsters everywhere could potentially discover artists years before anyone else. I claim that privilege with Mull Historical Society and Sugarplum Fairies. Another band I had hoped would blossom into something else was Ban Jyang. Loud, brash and similar sounding to Rage Against the Machine, Ban Jyang had three albums to buy. Of course £10 an album was a lot of money to fritter away on music, so I bided my time until I could afford to buy them. Unfortunately during this time, the band imploded. Folding in on itself, they vanished from Peoplesound. Previous searches had revealed a website but this had been hacked and warning messages appeared whenever it was visited. Eventually that too disappeared and along with it the “free to download” back catalogue of the band. So more than “they were an artist who sound like Rage Against the Machine”, I am unable to tell you but remnants of their work remain on the internet. For instance you can still buy this album via Amazon and their MySpace page is still live (https://myspace.com/banjyang/music/albums). Geek Freak Stadium is a live compilation of “hits” from their other albums Weirdo Side Effects and Religious Love Hater, possibly recorded at a gig they probably did sometime somewhere. It sounds like it’s really popular but then I suspect they just added a cheering audience backing track in the studio. A live recording of Tim Buckley in London in 1968 . 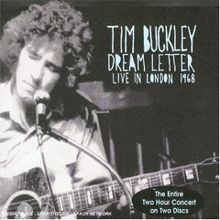 Having heard Buckley’s Dolphins and Happy Time at a time when my contemporaries were exploring the joys of Buckley’s contemporaries such as Creedence Clearwater and Airport, I was, of course, going to see what all the fuss was about Tim Buckley. Drug adulation, tragedy and too much vibraphone, that’s what. Jarre spreads European culture and music technology to the exotic Far East by playing gigs in Beijing and Shanghai then brings back a little bit of Chinese culture and musical influence to the West. This album is a live, yes a live, compilation best of thing. Just like all the other live best of compilations in this project only this time, to make it different, you know it’s recorded in China. Wow! Actually in CHINA! Sure there are a few “Concerts in China” specific tracks on the album but the bulk is just live versions of tracks from previous albums recorded in China. It also sees Jarre whip out his laser harp. I even remember my brother telling me to watch Jarre play the laser harp on TV because it was a groundbreaking, never to be seen again, instrument. Earth shattering never happened, Jarre went on to do more albums and laser harps will never beat seeing the Gamelan play live in Liverpool Philharmonic Hall. I had hoped that the three hundredth album in this project would have been a monumental one. Sadly it’s another best of/Live/compilation. It’s like all the albums this month have been compilations. I know they haven’t but it really seems like to be a successful musician you have to write about 20 songs on about 3 albums then release best ofs, lives and cover version albums for a few years then make a come back or reform. Bryan Ferry is the master of come back. 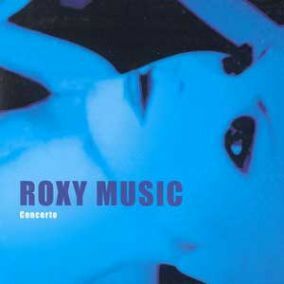 Concerto is the twenty somethingth release by Roxy Music and the sixth live album by the band. It is also noted for the fact that it was released in 2001 and is a recording of a concert in performed in Denver made in 1979. 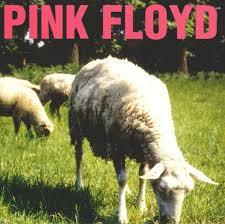 Talk about milking your back catalogue and fans for everything they have! 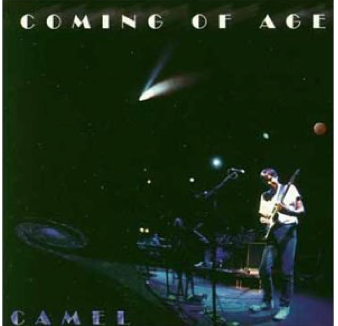 A live compilation of songs by prog maestros Camel showcasing work from Snowgoose, Moonmadness and later albums. Sadly, during transfer from computer to computer over the years, my only copy of this album has now become corrupted; the majority of the songs now shortened by up to half of their original length. Of course I’m too tight to buy it. The tantalising audible glimpses of Camel’s genius make this album an excellent introduction to the band for those unfamiliar with their work but the lack of production, with it being a live album, doesn’t show the band in its best light. A confession: middle age and life commitments give me little time to explore and enjoy new music these days. So in an effort to write this entry I actually had to listen to the album itself. Back when I was a student for the second time, late noughties, my television production tutor Andy Fox, my audiences lecturer and I would frequently discuss the pros and cons of Prog. Foxy suggested that I try out Porcupine Tree, a neu-prog band that was rising in popularity through the advent of the intarwebz. So I did. I did what I usually did in those situations, download as much as I could for later listening to. Of course, life then got in the way and aside from a number of songs from various albums, I never really spent much time with an entire album. Until this weekend. The newer reader might be fooled into thinking that I write entries for the music project on a daily basis. I don’t. I try to get as many items written up over the weekend at a when most people are curled up on the couch with a bacon sandwich and a copy of the Guardian. So on a cold, damp bacon smogged Saturday in March I sit in Gnomepants cottage listening to Coma Divine in its entirety for the first time ever. I even caught myself doing some air guitar and moshing. 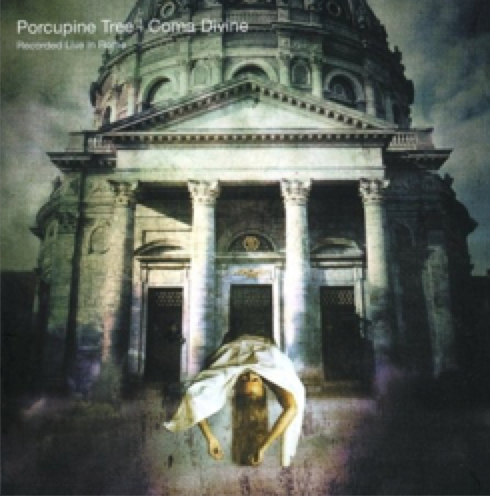 Coma Divine is a best of/live compilation recorded live in Rome in the late 1990s and, as if to prove a point, it showcases Porcupine Tree’s earlier music, a period often over looked by people coming new to a band. 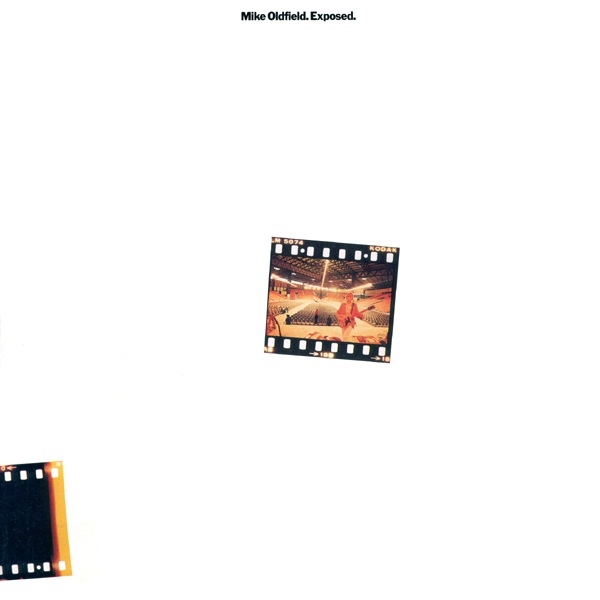 I found it highly enjoyable on a first listen. I haven’t found any songs I’ll add to my “Got to listen to this now” list but they are inoffensive and I’m sure over the next few months I’ll listen to them again. Live music from our gothic dust beaten hat wearing chaps from Stevenage. Perhaps it’s age, but to me it’s hard to take this album seriously. The guy you can hear growling away, Carl McCoy, was in his mid forties when this album was recorded. Which is cool. If that’s what you can pass off. But all I can think of is some “dad” like figure dressing up like some forsaken cowboy growling. Not singing. Growling. That’s not to say I don’t like it. It’s a good album. Nice mix of songs old and new showing progression and a nice introduction to the band for young newbies. But remember kids, the lead singer is old enough to be your dad. Or, in some cases, your granddad. My first and last time with you yeah? We had some fun. Went scrolling through the blogs yeah and they told you stuff. Oh I want to read some soon, but I wonder how, it was a new day yesterday, but it’s an old day now.